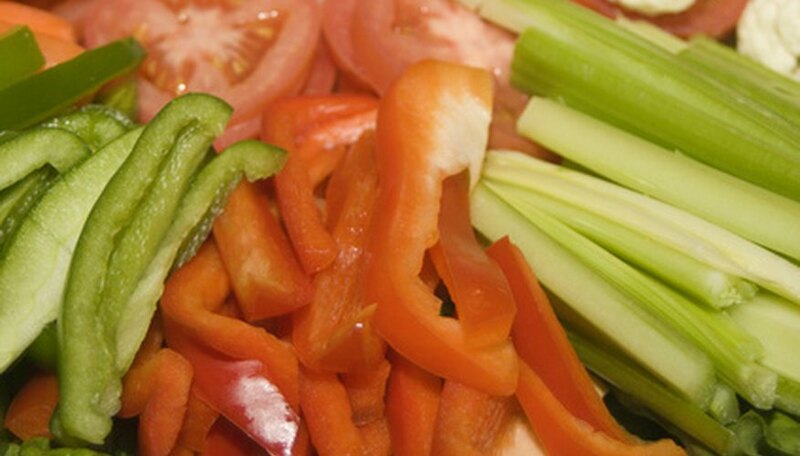 Imagine having all sorts of fresh vegetables available to enjoy throughout the year. Gardening indoors protects vegetables from harsh weather and the seasons' changing temperatures. There are many choices on how to set up a garden indoors to grow vegetables year-round. The three most common ways are container gardening, using a hydroponic system, and growing vegetables in a greenhouse. Pick out size appropriate vegetables that can be planted into containers indoors. Select vegetables like tomatoes, onions and peppers; these are ideal for indoor growing. Consider choosing miniature or dwarf vegetables for planting. Punch four holes in the bottom of each container and fill two-thirds full with soil. 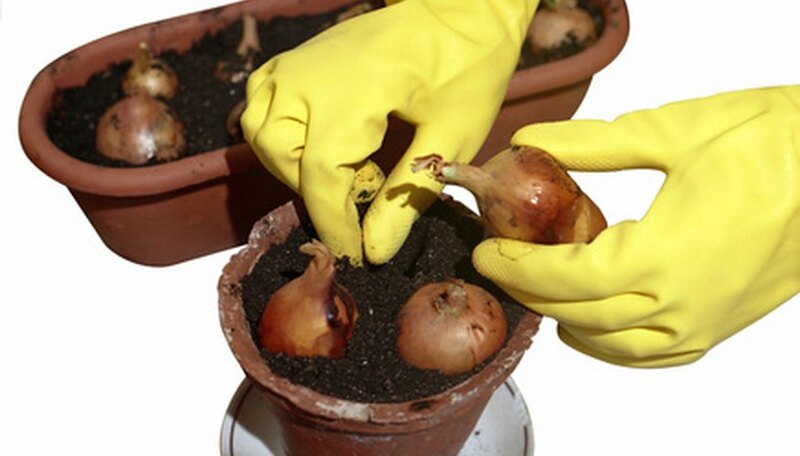 Transplant the vegetable plants into the larger containers covering the roots with soil. Make sure the containers selected offer enough room for the plants. Place the trays under each of the containers for drainage. Water the plants immediately after the transplant is finished. Set up a watering schedule according to the plant's care instructions. 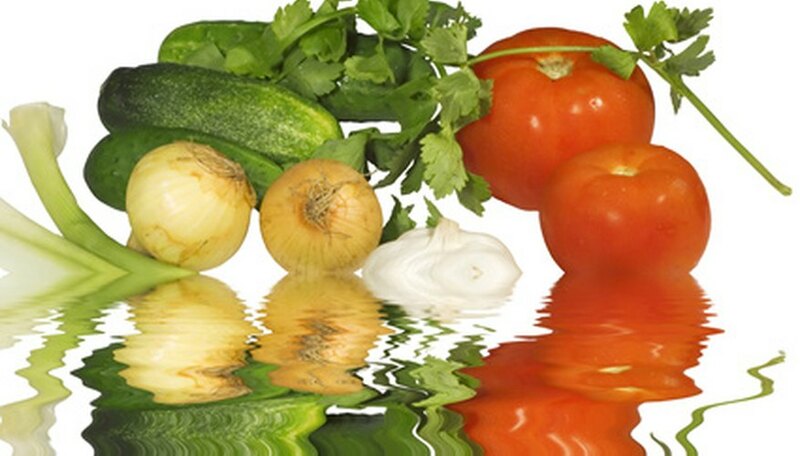 Decide on which hydroponic system to use; there are six basic systems. Set up the hydroponic system and test the water for pH levels. Adjust the water accordingly, adding phosphoric acid to lower the pH level and potassium hydroxide to raise the pH level. Add premixed hydroponic nutrients to the water. Fill the growing tray of the hydroponic system with a growing medium. Remove the plants from their containers, washing the soil off. Insert vegetable plant into the growing medium. Make sure small plants are at least 6 to 8 inches apart and larger plants spaced 10 to 12 inches apart. Hang a growing light over the hydroponic system. Check the growing instructions on each vegetable planted to guarantee prime conditions. Refill water levels in the hydroponic system as needed. Choose a mini-greenhouse kit to set up at home. Select a spot to assemble the mini-greenhouse. Make sure the location gets lots of light. Prepare the terra cotta containers with soil and fertilizer; fill the pots two-thirds full with the mixtures. Insert the vegetable plants into the pots and cover their roots with soil. 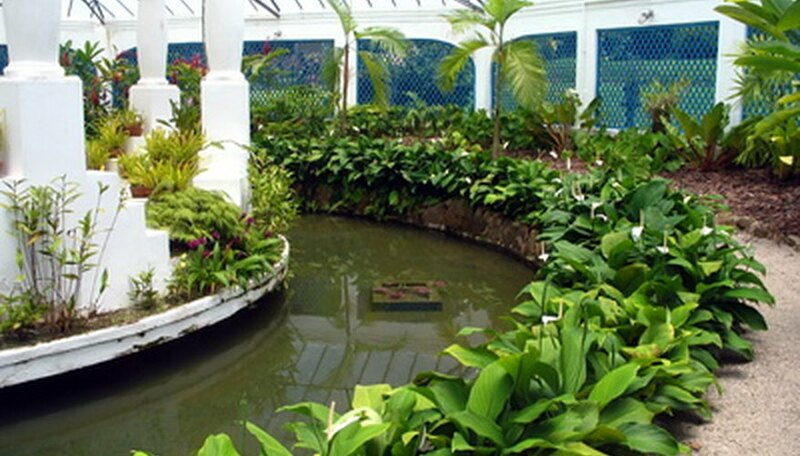 Maintain only eight plants at a time until accustomed to greenhouse gardening. Add a plant nutrient mixture to the water for the plants. Monitor the plants' soil daily to check for dryness. Water plants only when the top layer of soil is starting to dry out. Container sizes should be large enough for the plants selected to grow in them. Tomato plants can grow in three- to five-gallon containers and a lettuce plant in a one-gallon container. Plants will need enough light to grow. Consider buying a grow light to offset the lack of sunlight indoor plants suffer from. Using a hydroponic system cultivates vegetables faster and grows larger-sized vegetables. Excellent growing mediums are perlite and vermiculite. Combining the two with a ratio of 1-to-1 makes a perfect environment for hydroponic plants. Mini-greenhouses only take up approximately 6 square feet and they are portable. When using a hydroponic system, make sure to keep the pH of the water in proper range; ideal growing conditions are between 5.5 and 6.5.